Cold, wet weather didn’t keep the producers and buyers away from the January Northeast Texas Beef Improvement Organization’s pre-conditioned calf and yearling sale held Wednesday at the Sulphur Springs Livestock Commission. 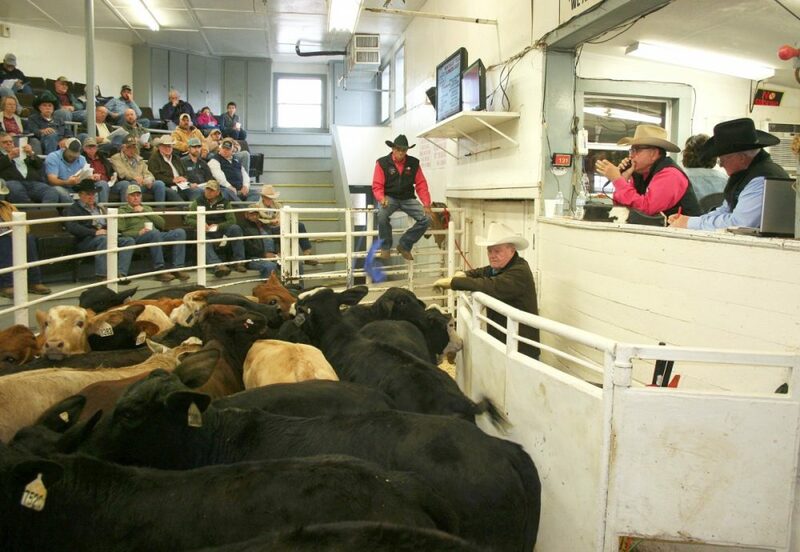 The sale enjoyed good buyer attendance and “the cattle sold very well,” according to Livestock Commission co-owner and NETBIO board member David Fowler. Cattle producers and buyers are checking in with Sulphur Springs Livestock Commission staff prior to the NETBIO sale held Wednesday at the market center. Fowler added that there was a lot of bidding over the Internet from buyers watching the sale live. Nearly 1,000 head went to those Internet buyers. Consignors shipped in 5,770 head of calves and yearlings to the sale, and 33 buyers paid an average of $786.59 per head for the cattle. 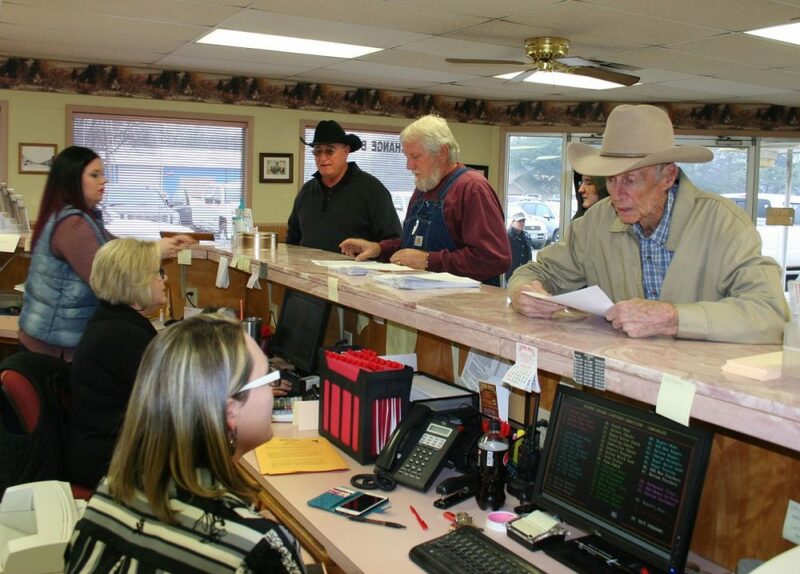 Auctioneer and Livestock Commission co-owner Joe Don Pogue takes bids on a ring full of cattle during the January NETBIO sale held Wednesday at the Sulphur Springs Livestock Commission. “The buyers who come to the NETBIO sales look for quality cattle and despite the weather conditions lately these pre-conditioned cattle held up very well. It was again evident that our producers are doing a great job of pre-conditioning and getting their cattle ready for this sale,” Fowler said. NETBIO members are already conditioning their cattle the next sale to be held on Feb. 20 at 1 p.m. in the Sulphur Springs Livestock Auction. Those calves will have been weaned by Jan. 6 and have a booster shot deadline of Jan. 21. Producers are also preparing for a sale to be held on March 20. They will be weaned by Feb. 3 and given final booster shots by Feb. 18.